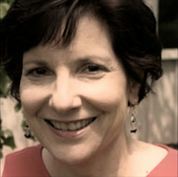 Joan Fopma-Loy, Ph.D., R.N. is Program Manager, Scripps Opening Minds through Art and Professor Emerita of Nursing at Miami University. She is a clinical nurse specialist in psychiatric-mental health nursing, specializing in depression and dementia in older adults, and has published and presented on these subjects in nursing and gerontology venues. She has worked with OMA as a volunteer, leader, trainer, and researcher since 2010. Joan has also been involved in development of the OMA41 (OMA for One) program, which applies the OMA art-making process to elders living in home-based settings.